To say that most small businesses have something of a love/hate relationship with the United States Postal Service is an understatement. USPS is one of those necessary things to get a wide range of direct and print mail marketing materials out into the world. With a decade of increasing prices chipping away at return on investment little by little, it's no wonder many organizations started to skimp on direct mail spending in favor of other "cheaper" solutions in the interim. Now, however, the tides may be truly changing as postal rates are on the decline with no clear end in sight. 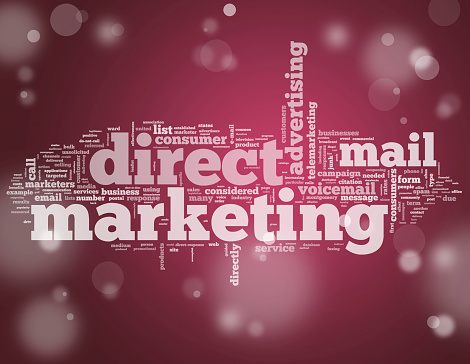 If you've been waiting to jump back into the direct mail world, now might be the PERFECT time to give it a try for a number of reasons. On April 10, 2016, the cost to ship a first-class letter in the United States fell to just $0.47 - a rare phenomenon in recent memory. Additionally, the price of sending a postcard dropped a penny, international letters fell $0.05, and even coveted "Forever Stamps" saw a decrease in cost at the same time. These are the most direct mail and small business-friendly prices to come along since the beginning of the 2008 recession. The answer is "a great big one." So, if the reasons why you had overlooked direct mail in the past were because "it was too expensive" and "you didn't think it worked," congratulations: those two reasons just evaporated in an instant. No two businesses are created in quite the same way, and what works for one might not work for another - especially in terms of an overall marketing strategy. However, with the recent decline of USPS postal rates, now would be the absolute perfect time to give direct mail a try if it's something that you've flirted with in the past, but ultimately overlooked for whatever reason. Now, is a terrific chance to really dip your proverbial toe in the water and to see just how direct mail can benefit your organization, especially if you're doing so for the first time. These declining rates most likely aren't going to stick around forever, so go for it, and create your direct mail campaign today. MPM as a Marketing Tool: What is it?